Please tell your driver, \"Hamasaku ryotei\". This place is located two streets south of the main south torii shrine gate of Yasaka Shrine. 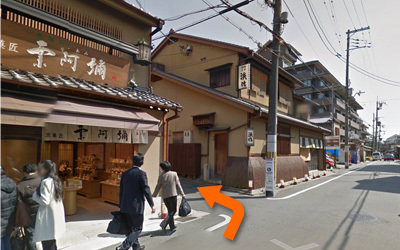 Aya is located on the left side of the Hamasaku ryotei, about 10 m up the sloping street. DOWNLOAD this PDF to show the taxi driver or other Japanese person.